On many dress shirts, collar stays are necessary to keep the collar down, and these beautiful pieces by Jan Leslie are the perfect stays for you. 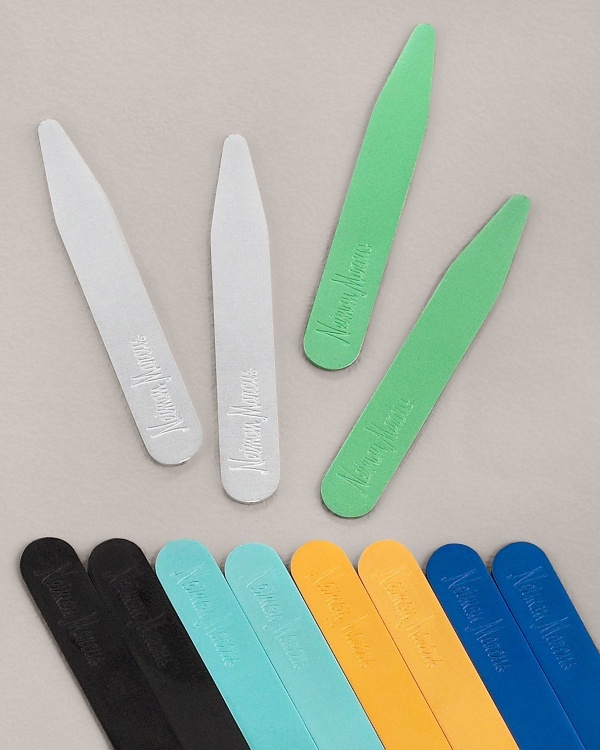 A rich, colorful variety of stays, this pack has one set of black stays, two matte goldtone sets, two matte silvertone sets, one green set of stays, two royal green sets, and one last set of light blue stays, making for nine sets of stays. Available online now. This entry was posted in Accessories and tagged Jan Leslie. Bookmark the permalink.